Current area news from around the Te Waipounamu diocese. 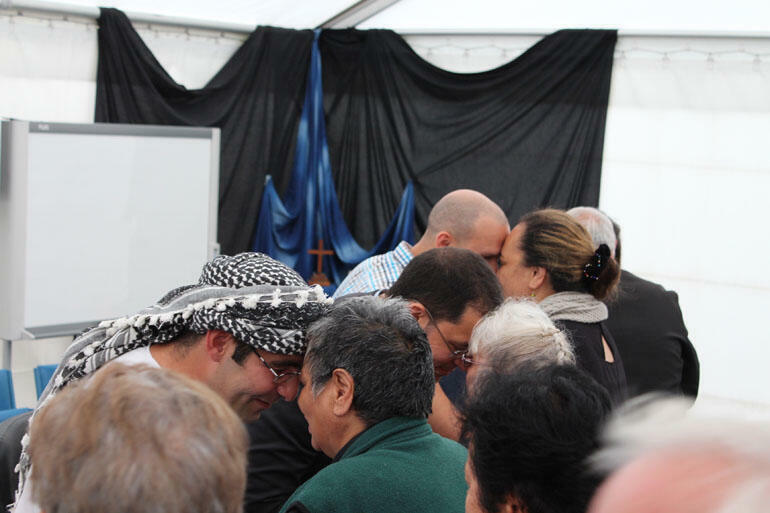 Diverse faiths are given a stirring welcome to the annual Ministry School at Te Waipounamu. 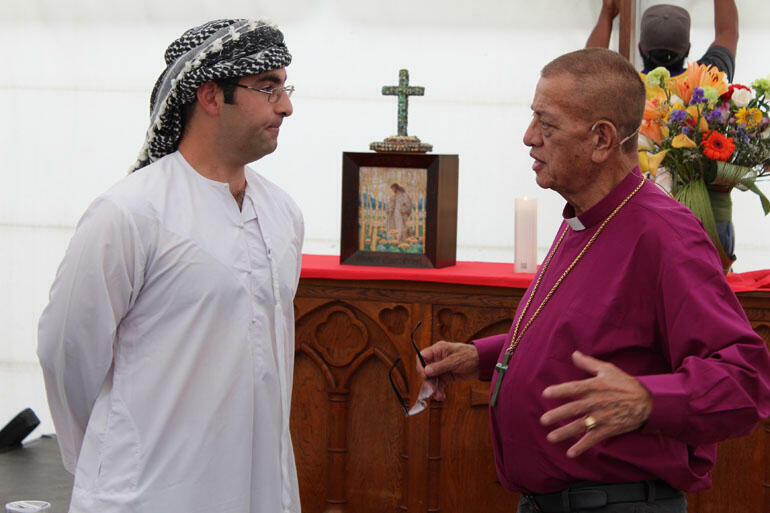 Arabic and Christian perspectives: Sussern Al-umari engages with Bishop John Gray. Arabic and Christian perspectives: Sussern Al-umari engages with Bishop John Gray. The united voices of rangatahi in the Anglican Maori Diocese of Te Waipounamu welcomed diverse faiths to this year’s Ministry School – Kura Rumati. The powhiri allowed representatives of Judaism, Islam, Shinto and Christianity to experience the hospitality of Te Waipounamu. However, when Te Pihopa o te Waipounamu, John Gray, introduced himself as one of the “biggest stirrers in the Anglican Church in Aotearoa New Zealand,” you could see the guests wondering what would come next. Some of his questions to them made them pause before a flurry of conversation. It was a session called Hardtalk , where the Pihopa asked questions on topics ranging from acceptance of the Trinity, the standoff between Israel and Palestine, obligations of the Treaty of Waitangi, what the Holocaust had taught Jews, and the role of the missionaries recently remembered at Oihi. The aim was for Kura participants to hear and see diverse faiths interacting and sharing their stories. The next step is for them to reflect on their diversity and ways to seek unity. Muslim and Jew sat next to each other, showing unity as believers. But they told Bishop John that, despite the covenant of the Promised Land, different opinions still prevented peace. Hard questions provoked robust debate, but there was always grace and understanding – and an embrace between the Jewish and Arabic representatives as they exchanged views on Israel and Palestine. Over lunch the panel kept discussing issues even when no questions were being asked. David Cumin, a Jew from Auckland, enjoyed the diversity of views. Sheree Trotter, of Maori descent, spoke as a Christian with a passion for Judaism, especially lessons from the Holocaust. She challenged Bishop John’s criticism of the early missionaries as being only interested in colonization. Replying to his claim that Maori had only “200 years of hell to remember,” Sheree paid tribute to the missionaries’ ‘amazing job’ and the way they separated out the roles of Church and State. “I’m happy to own it,” he responded. Throughout the forum he had aired his frustration over resource sharing, which he described as leaving Maori “with nothing” but the three-tikanga structure. A ministry gathering that had begun on a ‘stirring’ note thus evolved into a forum for justice and understanding, as participants met face to face and breathed the same air in the hongi. Click on a link below to view the latest issue of Te Purongo. Click on a link below to view older issues of Te Purongo.